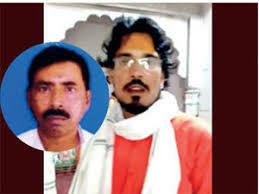 Rajastan: A Bengali worker Afrazul khan was hacked and burnt alive by Shambulal Regar accusing him of 'love jihad'. The whole act of killing was filmed by his nephew a boy of 14 years of age. The murder occurred in the small town of Rajnagar, the headquarters of Rajsamund district, barely 100 km from Udaipur, known till now in the rest of the country for little more than the Nathdwara temple town nearby and the marble warehouses and cutting and polishing factories surrounding it along the national highway to Udaipur.